ASP Laguna Chapter conducted the annual Friendship Games as part of the celebration of the National Autism Consciousness Week. This year’s theme “Aim High, Fly High Through Going Back to Basics” was participated by 12 member schools -- First Steps Intervention and Therapy Center Inc., Liliw Intervention Center, Work of Heart Child Center, Arcangel Intervention and Tutorial Center, Child and Teen Success Intervention Center, George and Ru Intervention Tutorial Center, Paete Intervention Center for Autism and Related Disorders, Autism Resource Center, Child Formation Center, Holy Rosary College, GS Option House and Learning Center, Inc. and Biñan SPED Center. This year’s games, held at Stonecrest in San Pedro City, Laguna, was hosted by GS Option House and Learning Center, Inc. Registration started at 7:00 in the morning, which was followed by energetic dance moves and exercises. An invocation was led by Christian Taclendo and Gina Tangle. Nica Escasinas, a special guest performer, led the singing of the National Anthem. The teachers of GS Option House welcomed the participants through its opening number. Noemi T. Viado, GS School Directress and Administrator, welcomed the guests, participating schools and friends. Cathy Lopez, President of ASP Laguna Chapter, expressed gratitude for the presence of everyone who took their effort and time to be part of the celebration. She mentioned about the history of the Friendship Games. 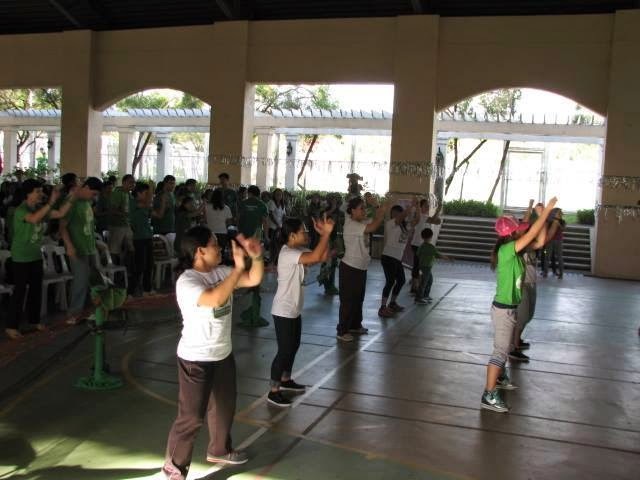 It started out as a sports fest initiated by ASP Laguna past president Ms.Riza Cansanay with the active participation of the ASP Laguna officers. The activity was supported by teachers and students from Letran College Calamba in 2006. The event served as an inspiration to come up with what is now called the annual Friendship Games. Fun, camaraderie and sportsmanship are the objectives of the Games. Mary Janette Peña, member of the ASP National Board of Trustees and Hon. Bong Bejasa Jr., from the City Council of Biñan gave inspirational messages. Led by Los Baños Association of Parents of Children with Disabilities, Inc. (LBAPCD) President Genaro Calderon, ASP Laguna Chapter Secretary Consolacion Cruz, LBAPCD Treasurer Salve Lapastora, and Autism Resource Center trainee Michael Cansanay, the oath of sportsmanship was recited together with the people present in the basketball court. The games started as the Chapter president declared the opening of the 9th ASP Laguna Friendship Games and immediately headed to the football field for the torch lighting ceremony. It was led by a special guest, Mr. Gerry Urcia, who was assisted by Teacher Wyler of GS Option House and Learning Center. Representatives from each school also took part. In line with the theme, Larong Pilipino was given emphasis reviving the fun-filled childhood games for 5 years old and below such as sungka relay, here comes the sun, coconut leaves weaved ball shooting and finding coins. Revisions were made from the Filipino games to suit the child’s capacity to play. The games for the 6-11 years old category were the following: revised palo sebo (20-meter distance flag relay), going to the market, running, vegetable relay, 30 seconds stationary ball catching, tumbang preso and sungkayaw. Games for participants 12 years old and above were sack race with assistance, buko relay, sack race, running and tied legs. Poster making contest was done simultaneously with the games. While the participants ate their lunch, they were entertained by Jollibee, who came in mascot, from its Pacita branch. To complete the theme, we witnessed a cultural show, namely the Filipino folk dance with 6 to 10 members including 2 teachers and a singing contest with at least 2 to 3 participants including a teacher using music produced or made in the Philippines or by Filipino musicians at least over a decade ago. We were blessed to have ASP National President Ms. Mona Magno Veluz for being one of the judges. She also gave an inspirational message to all of the attendees. She was joined by other judges: Jacqueline Tan, Sid Galman, Mr. AJ Masajo, Norma Urcia, and Ma. Ana del Valle. The event ended on a high note with the awarding of trophies, medals, plaques and gift items to the winners and certificate of participation to all participating schools and centers. The over-all champion for the 9th ASP Laguna Friendship Games is GS Option House and Learning Center, Inc. Autism Resource Center and Work of Heart Child Center, were respectively awarded as first and second runner ups. The success of the event was made possible because of the support of all the sponsors, donors, guests, friends, school participants and also the volunteers from Perpetual Help Biñan Campus, Adventist University of the Philippines, San Pablo Colleges and GS Option House and Learning Center, Inc. (Grade 5 and 6 students). Winning the game is only secondary to this event. What matters most is the unique meaning of participation and inclusion: not only for the children with special needs but the entire family members as well as other kind-hearted persons who support this active endeavor of the chapter. It is a learning experience of shared moments with families of children with special needs, teachers and friends. Let us all join hands as we continue to make a difference in the lives of these children.